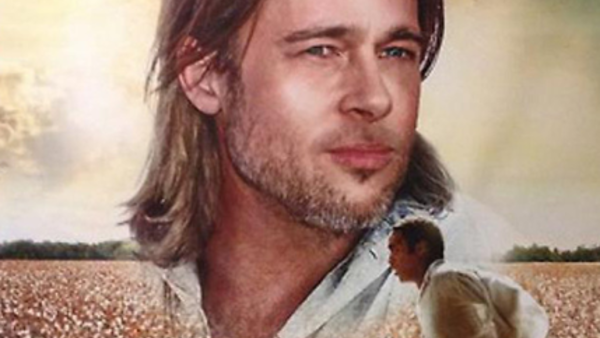 Who knew that Brad Pitt was the real star of 12 Years A Slave?! Cameos are usually fun in films, especially in comedies like Anchorman and Zombieland when actors you don't expect to see pop in for a few laughs. In those cases the cameos aren't promoted in order to keep them as funny surprises, but also because it would be a pretty low thing to do if misleading advertising suggested that a popular actor who only makes a token appearance has a significant role in a movie. But don't think an industry that charges $5 extra for a 3D movie with hardly any 3D effects and $7 for a "small" popcorn is above ripping you off with misleading advertising. Still, trailers and posters are meant to promote a movie so most rational people are aware that they are always an exercise in overselling since not every comedy can be the "funniest movie of the year!" However, at the very least moviegoers expect that a movie that uses a famous actor prominently in advertising actually stars that actor. This is because we expect basic labeling to be true. When we open a package of Oreos we expect to find Oreos inside. However, in some cases movie marketing is like opening a bag of Oreos and finding only two Oreos with the rest of the package filled with gooey dough made in an Easy Bake Oven that had a faulty light bulb. This happens when an actor becomes famous and a studio that has the home media rights to an earlier movie that has that actor in a small role will dig up that movie and release it with that now more famous actor prominently featured on the box. That sort of misleading marketing has probably led to more than a few Sandra Bullock fans buying copies of Hangmen and Who Do I Gotta Kill?, two movies that in no way star Sandra Bullock despite her image and name taking up much of the DVD art. In other cases, trailers have made it seem like an actor with a supporting role has a much bigger role in the film, like when Warner Bros. pretended Steven Seagal had a lead role in Executive Decision and Miramax attempted to trick people into seeing the truly awful View from the Top by featuring almost all of Mike Myers' appearances in the film in the trailer. At the time of the respective releases, both actors were at the height of their popularity. Matthew McConaughey showed up a lot in the commercials for The Wolf of Wall Street, but he was only in the first twenty minutes of the movie! So while this shifty promotional technique is nothing new to those who browse the $5 DVD bin at Wal-Mart, several studios have taken this type of misleading marketing to an extreme. Here are six examples of when studios and marketers didn't just skip over the line of decency, but smashed it to bits.